At first thought, you wouldn’t think a ceiling fan could add value by saving you money on your heating bill, but they can! Most ceiling fans have a little black slider switch on the lower canopy which controls the direction the ceiling fan will rotate. 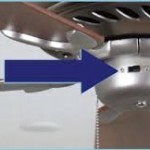 When you are looking at the fan from the ground in the winter months, you want the fan to rotate Clockwise. 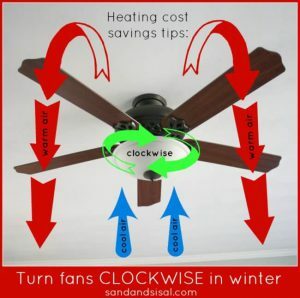 In the summertime, the fan should rotate counter-clockwise. Running your ceiling fan clockwise on medium or low-speed in the winter will pull the cool air upward and force the warm air down. Depending on where your fan is located and the layout of your house, either your thermostat will tell the furnace to kick on less, or you can set your thermostat to a lower temperature.